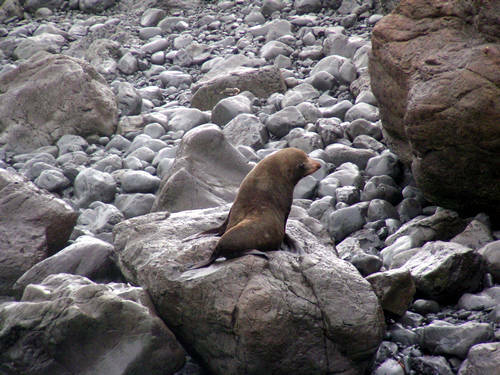 Just before you reach the Cape Palliser lighthouse you must keep your eyes open for the nearby seal colony. There are hundreds of the wonderful creatures along the rocks just off the side of the road - so many you need to be careful when parking as they are not easy to spot (even when you are expecting them). You can get out of your car and move within metres of the seals but be careful as they are wary and you don't want to be charged by a large, scared seal! Expert advice is not to get between them and their escape to the sea. 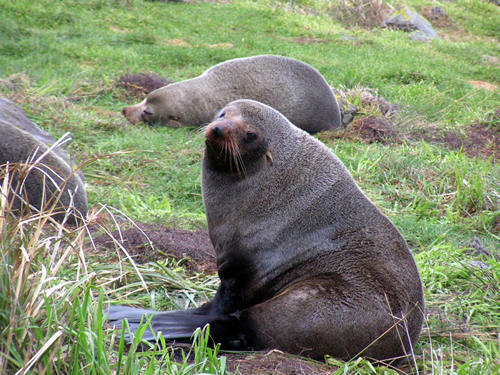 The Cape Palliser seal colony is the highlight of the trip to the lighthouse and taking time out to just watch the wild creatures up close is something you will always treasure.